Some troubling reports are starting to appear, warning us that the LG Nexus 4's price may differ greatly, depending on where you purchase it from. It seems that Google's Play Store will be the only storefront offering the latest Nexus handset at the astonishing starting price of $300 (or EUR 300). Everywhere else, where LG is going to be the supplier of the device, it's going to cost much more than that. Spain's Phone House, for example, which is a counterpart of the UK's Carphone Warehouse, reports that LG has offered the device at a recommended price of EUR 599 - twice as expensive as what Google has announced! Similar information is coming from sources in Austria and Denmark, too, with reported prices ranging from EUR 549 to EUR 599. Of course, if you live in a country where Google's online hardware store is accessible, this isn't that much of a problem, but if you don't, and you planned on buying the handset from elsewhere, we can imagine this is one piece of news that you won't like much. Right now, Google can sell the Nexus 4 through its Play Store in the following countries: Australia, France, Germany, Spain, Canada, United Kingdom, United States (including Puerto Rico), with the exception of the following regions: Guadeloupe, Martinique, Réunion, St. Pierre and Miquelon, and French Guiana. Isle of Mann; Busingen and the Isle of Heligoland; Ceuta, Melilla and the Canary Islands; Outlying Australian islands, with the exception of Tasmania; Guam and the Virgin Islands. For those who want a Nexus 4, but do not live in these countries, it looks like they'll have to put up with LG's much steeper pricing, or find another way of getting the handset. Man, I was thinking of getting this but now I'm not to sure if I should if they're going to increase the prices at retailers. It costs $400 to get the 16 GB from Google Play here and if retailers are going to sell it at a higher price, it will be around $700-800 like every other new phone. Don't you go with your toolbox on vacation? Just joking ;-) That's why I said you were "partially" wrong, as you said that you can't replace the battery. LOL. This one way to handle cognitive dissonance. Why on earth would anybody buy the Galaxy Nexus IF you get the Nexus 4 for the same price? 1) Have you ever heard of "external batteries"? Some of those will charge your phone 3-4 times!!! (BTW: You can replace the battery if you really want. There are just 2 screws between you and the battery. Just in case your battery loses some capacity after month/years) 2) The GNEX has the same amount of storage (except Verizon). But since the Nexus 4 supports usb host mode you can easily connect an external storage/flash drive to it. There is even an app for that allready in the Play Store ("Nexus Media Importer") which allows you to import and stream music, video, photos and documents from a USB flash drive or SD card connected to your Nexus!! 3) ??? Are you serious? Dude, just get a protective case or a bag! 4) kinda agree here, but I never use my phones without cases, so I'm fine with that. And since the back plate is changeable, it shouldn't be a problem to find other one from third party suppliers on ebay. No phone can survive a 100 meter fall. Where do you go for vacations? In the clouds? And people who love their phones can protect their phones from anything! You think galaxy nexus takes better pics than nexus 4? Anywherehome is crazy. Mind you, the dude is European so he's on vacation 3 months out of the year. His decision process for buying a phone is valid, it just doesn't make sense to the majority of users on this forum. am sure everyone got it. you take pictures leaning out of the window of the latest boeing / airbus. too bad the concordes are decommissioned. 700 USD for the Note 2? 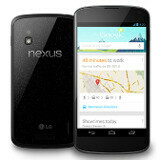 For the same price you would get the Nexus 4 + the 3G Nexus 7 (32GB). I would be pissed too if I had to pay twice the price for N4. Is the note 2 out yet where u live? Certainly not a good news... no google play store here in India. Though I can see Nexus 4 (8GB) listed on eBay for pre-order @ $430, not too bad. It'll be imported from US. But will u get Google updates if u import the phone?? I have an imported Nexus and it gets the updates without issue. So I would expect the same behaviour regardless which two countries you are talking about.